Judges in Florida have the power to issue arrest warrants when they believe that probable cause exists, meaning that there is a reasonable basis to believe that a criminal offense was committed and the person named in the warrant committed that offense. Arrest warrants issued in the Sunshine State are most frequently the result of criminal investigations or missed court appearances. It is important for any person with an active warrant to understand that you cannot wait out a warrant. Arrest warrants have neither time nor distance limitations in the United States, so it is not uncommon for many people who unknowingly have active warrants to be arrested during routine traffic stops when police officers discover the warrants as part of background checks. If you believe that a warrant has been issued in North Florida for your arrest, contact Pumphrey Law as soon as possible for help understanding your next steps in clearing any active warrants. Don Pumphrey and the Tallahassee criminal defense lawyers at Pumphrey Law defend clients accused of criminal offenses in Gadsden County, Leon County, Wakulla County, Liberty County, and Jefferson County. Call (850) 681-7777 right now to have our attorneys provide an honest and thorough evaluation of your case during a free initial consultation. What are the requirements of an arrest warrant? In what other cases might an arrest warrant be issued? 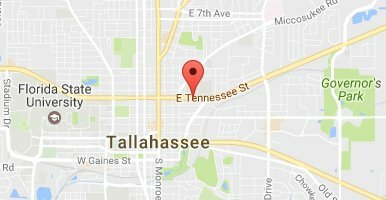 Where can I learn more about arrest warrants in Tallahassee? In order to obtain an arrest warrant, a law enforcement officer must submit a written affidavit under oath to a Florida judge or magistrate. 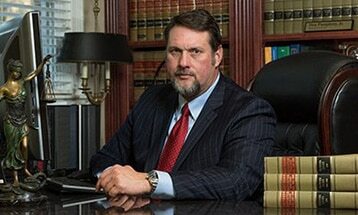 for offenses where a right to bail exists, set the amount of bail or other conditions of release, and the return date. In certain cases, a judge or magistrate may issue an arrest warrant that is more commonly known as a “No Bond” warrant. A No Bond warrant prohibits an alleged offender from bonding out of jail immediately after being arrested and that person must wait until his or her next court date or request a bond hearing. When an alleged offender fails to appear in court after being issued a summons in a direct information case filed by the state attorney’s office, the court will issue a direct file arrest warrant. Direct file arrest warrants are more frequently issued in crashes stemming from driving under the influence (DUI) cases, usually as the result of delayed evidence collection or blood test results. When an alleged offender commits either a technical (missing meetings with probation officers or leaving jurisdictions without permission) or substantive (new arrests) violation of his or her probation, the probation officer may file a violation affidavit with the court, possibly resulting in a violation of probation warrant being issued. Arrest warrant information is shared by multiple jurisdictions all over the country. When an alleged offender is arrested in a location that is not under the same jurisdiction as the court that issued the warrant, the alleged offender will remain in custody in the arresting county or state until he or she can be extradited to the state or county that originally issued the warrant. If the original state or county fails to take custody within a specified amount of time, the alleged offender may be released. Depending on the reason for an arrest warrant, a Tallahassee criminal defense lawyer may be able to negotiate a motion to surrender and ask a judge to grant a Release On Recognizance (ROR) bond so the alleged offender can be immediately released without posting bond. Florida warrant information reported to the Florida Department of Law Enforcement (FDLE) by law enforcement agencies throughout the state and authorized for release to the public can be found in the Florida Crime Information Center database. After you complete and submit the necessary information to conduct a search, you can click on the name of an alleged offender to view his or her alleged offense as well as reporting agency. The FDLE notes that this information is not to be used as a confirmation that any warrant is active, or as probable cause for an arrest, and the agency recommends verifying that a warrant is active with a local law enforcement agency or with the reporting agency. If there is an active warrant for your arrest in North Florida, it is in your best interest to quickly retain legal counsel. Pumphrey Law represents individuals in Monticello, Tallahassee, Crawfordville, Bristol, Quincy, and many surrounding areas of the Florida Panhandle and Big Bend region. Don Pumphrey and the criminal defense attorneys in Tallahassee at Pumphrey Law can help you avoid the public embarrassment of being arrested in front of your friends, family, or co-workers. You can have our lawyers review your case and help you understand all of your legal options when you call (850) 681-7777 or complete an online contact form to set up a free, confidential consultation. This article was last updated on Friday, September 15, 2017.